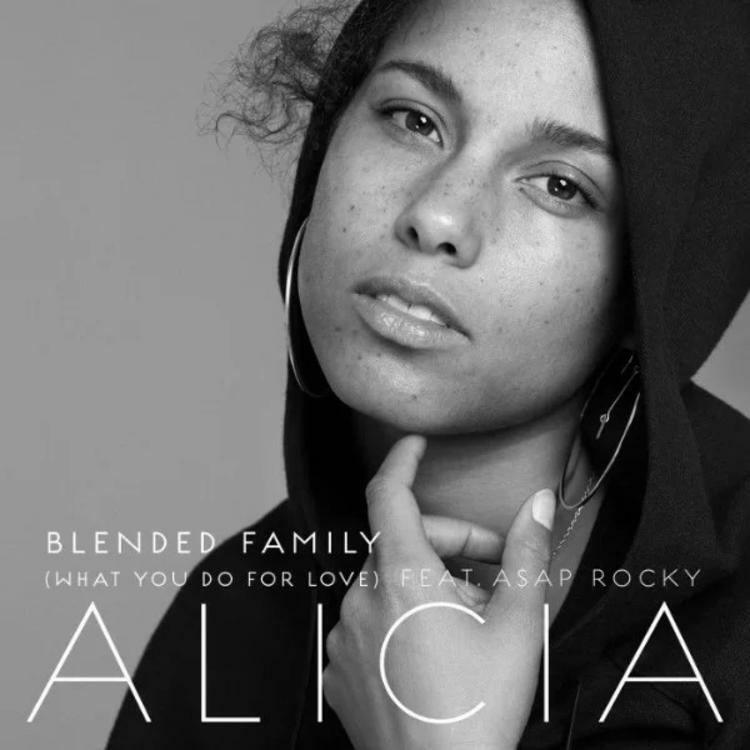 Alicia Keys addresses her family on a weepy new song, "Blended Family," featuring A$AP Rocky. More so in R&B than in rap, the best ones never seem to let age affect the quality of their music. Case in point: Usher's new Hard II Love album and also Alicia Keys' recent output, especially her May single "In Common," which was recently remixed by Kanye West and Travis Scott. Keys is now back with another single, "Blended Family," and it features A$AP Rocky. The song seems to have been premiered on the French airwaves earlier today, as a radio rip -- which begins with a French DJ speaking -- has now arrived. The official version of "Blended Family" will hit all online retailers and streaming platforms at midnight (10/7). The heartfelt song is a tribute to nontraditional families, as Keys is not the biological mother of all the children she's currently raising with her husband Swizz Beatz. "The understanding, compassion and support we’ve found is a powerful testament to the healing that comes when we choose love," Keys wrote about "Blended Family" in a statement on her website. Rocky both sings and raps on the song, and it's rare to hear him get so vulnerable with his content.